There are many points of interest in Edwardsville Township for you and your family. Whether you are out enjoying the Edwardsville Arts Center or strolling through Miner Park a pain in your tooth can be debilitating. You might not want to worry about a toothache but it is vital that you have it checked out. Edwardsville has many options when it comes to general dentists specialists to serve you. You can rest assured you will find what you need. 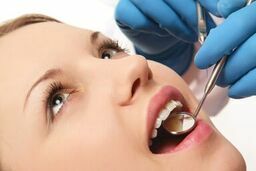 Our team at emergencydentistsusa.com has put a list of local dentists and specialists together for you. You will see that this list includes both general dentists, orthodontists, and other specialists for you. Look through the list and select the dentist you want to visit and give them a call. If you want more help, contact our toll-free dentist finder hotline today. A call to our 24-hour hotline connects you with one of our team members. They are trained to assist you in finding the dentist or specialist you need to help you. We are here to help you through finding the right dentist during your emergency and can even schedule your first appointment for you. We highly recommend that you arrive at least 15 minutes prior to your appointment to give yourself time to settle in and fill out paperwork. Bring with you your ID, insurance information, and your payment method. There are many dentists available to you in Edwardsville township. You can take your time and choose from any dentist or dental subspecialty you need including orthodontists, periodontists, implantologists, and others. If you have a toothache, a visit to a general dentist is usually the first course of action. If they see a need, they can refer you out to a specialist to further assist you. Description: Edwardsville Family Dentist prides themselves on providing exceptional dental care to the community. The office utilizes state-of-the-art technologies. The staff offers a full range of services from general dentistry to pediatric dentistry to emergency care. Most forms of insurance are accepted through this office as are most common forms of payment. The team also offers financing. Doctors: Dr. Hal R. Patton, D.D.S. Description: The staff at Hal R. Patton, D.D.S. offers a team approach to dentistry. They want patients to have the quality of care they deserve. The following are a few of the services provided, sealants, bonding, fillings crowns, root canal, extractions, and more. Most insurance plans are accepted as are common forms of payment. Description: The Sunset Hills Family Dental office cares about helping you have a beautiful smile. The team provides a wide array of services including general dentistry, cosmetic dentistry, restorative dentistry, and comfort dentistry. Most traditional and PPO dental insurance plans are accepted. The office also accept most common forms of payment and has financing plans. Should you have tooth pain that lasts more than an hour or more, seek emergency dental care. A serious dental problem could be present and it is vital you receive proper care immediately to prevent further issues. If the pain is associated from an accident, go to the nearest ER to ascertain that there is not further injuries. When visiting a new dentist, it is wise to check their credentials and license status. You can accomplish this quickly by visiting the Illinois Dental Society website and inputting the dentists name.